Blog Home > Building and Construction > 2 days to go! Price Doctor, the pricing system for house extensions, is being launched on Monday by DIY Doctor. DIY Doctor has spent 2 years developing a simple, but incredibly detailed piece of software which removes any possiblity of a home owner( YOU ) paying over the odds for an extension. 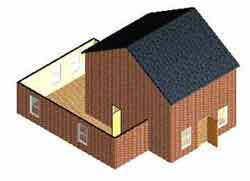 The software will give you a breakdown of prices for both materials and labour for your extension. You are then in a position to understand how a builder puts his quote together and, most importantly, what you can expect for your money. It is really important to remember that an underpriced extension is as bad, if not worse, than one that is overpriced. If the builder is not charging enough the quality will suffer. The builder will need to rush to avoid a high wage bill and, in the worse case scenario, he may leave the site as he is unable to complete the contract with the amount of money available. It may seem too good to be true to get a cheap quote. The fact is that 99% of the time it really is too good to be true. Our new system guides you through a simple step-by-step process, where you enter the details of your extension and the choices for that project so that you can have a full breakdown of the labour and material costs. This can then be used to check quotes from builders or to even price it up to build it yourself. If you would like advance notification of the launch and access to a free, demo version, please email office@diydoctor.org.uk and type advance notice in the subject line. Price Doctor launches on Monday!